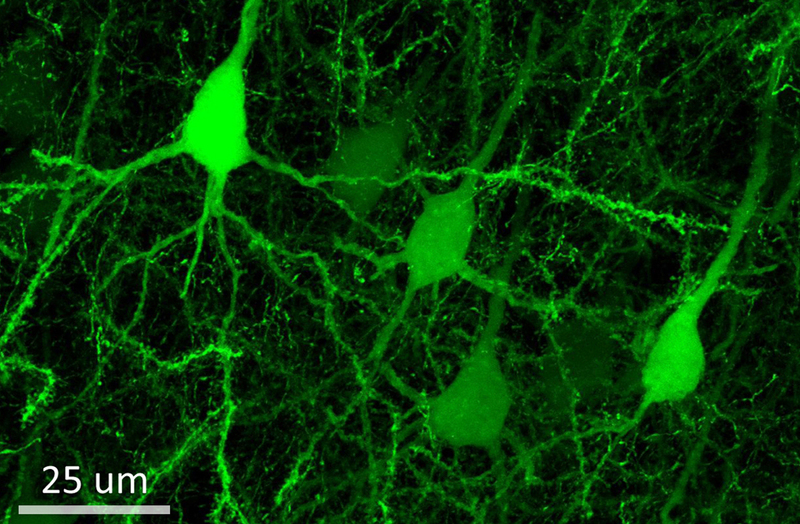 Layer 2/3 pyramidal neurons expressing the light-gated ion channel ChR2 (Feldman Lab). 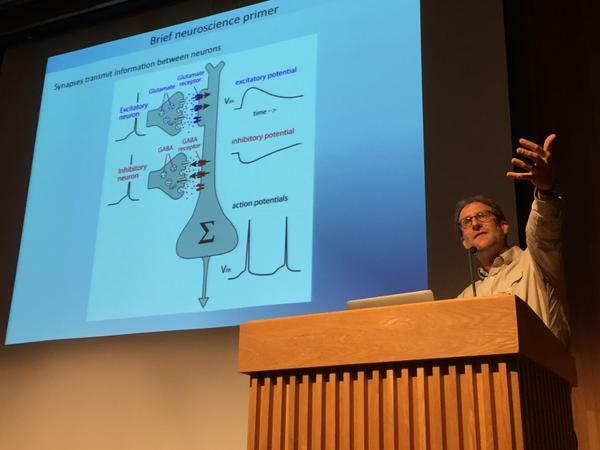 A unique feature of the neuroscience training at Berkeley is the highly multidisciplinary research environment. For instance, Neuroscientists work side-by-side in the lab with engineers and roboticists to study motor control, with bioengineers to grow stem cells for regenerative medicine and tissue engineering, and with chemists to develop new reagents for optical monitoring and control of neural activity. Neuroscience Program students are trained at these intersections between fields, and help drive scientific and technological advances. The Neuroscience PhD Program trains a select group of students (about 10 entering students per year) in an intellectually stimulating and supportive environment. Since its official launch in 2000, the program has trained 95 students. Our applicants have outstanding undergraduate records in both research and scholarship from diverse academic disciplines, including biology, chemistry, psychology, physics, engineering and computer science. We carefully select students with the expectation that, given strong graduate training, they will develop into tomorrow’s leaders in the field of neuroscience. We welcome you to apply to our program.